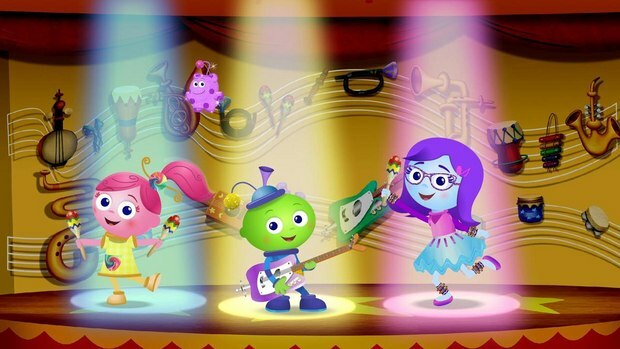 Preschool TV (Ages 3-6): Come Fly with Me in Creative Galaxy Season 2 ! 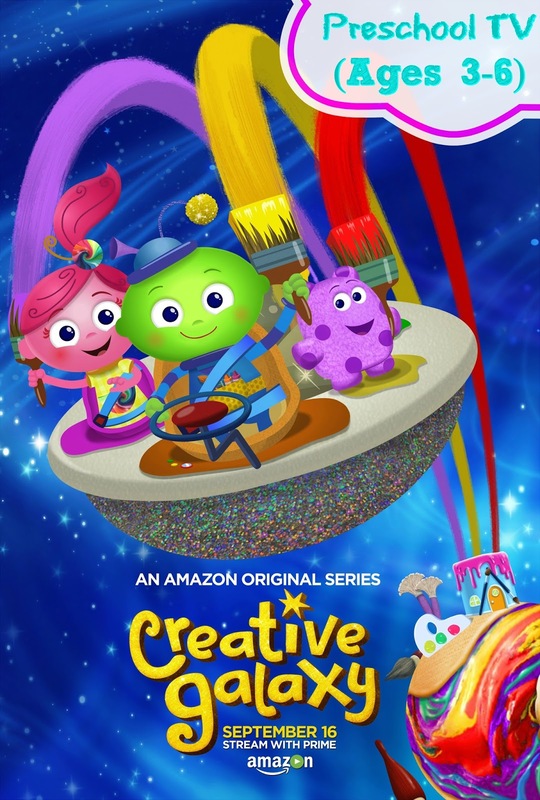 I’m so excited to share that today, Friday, September 16th, Amazon Original Kids Series Creative Galaxy, the hit “make-along, create-along” animated art adventure preschool series, is set to blast off for Season Two on Prime Video with all-new episodes! 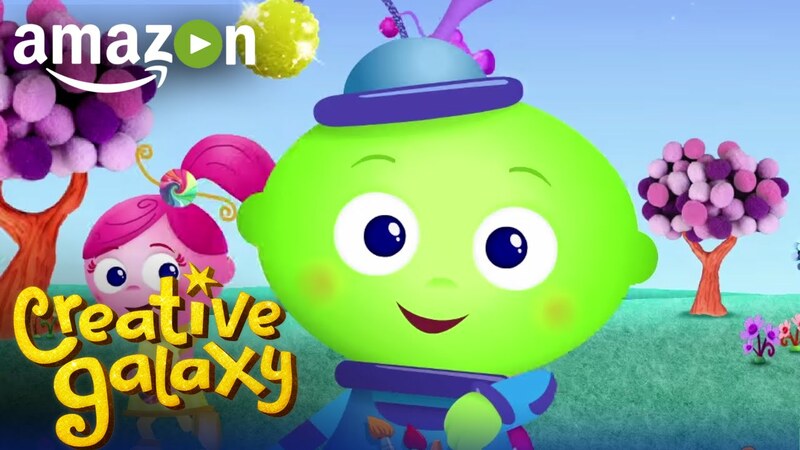 Young viewers get to join adorable alien Arty and his sidekick Epiphany as they travel around the galaxy to solve problems using various forms of art! As an art loving family, I was ecstatic at the first premier of that series and so was Gabby. Each vibrant and engaging episode highlights a unique creative medium. Painting, music, sculpting, cooking and more are used to showcase how art can be found in all different places and in many forms. The interactive stories and unique live-action craft segments are carefully designed to help adult viewers recreate the art projects featured in each episode with their kids, inspire them to “go be amazing!” and become idea makers & creative thinkers. In Season Two, the galaxy expands as Arty introduces audiences to two exciting new art forms: cooking and singing/dancing with new planets and celebrity hosts! Cooktopia with Chef Zesty (Donovan Patton) and Grooveopolis with Melody (Lisa Loeb). In addition, the new episodes celebrate key childhood “milestones” such as a parent’s birthday and losing a first tooth, bringing even more relatable preschool experiences to families everywhere. I'm so excited to check out the new season on Amazon Instant Video. I love being a prime member! Do you love Creative Galaxy? This looks like a fun cartoon. I really like the bright colors. I am sure the kids would love this as the characters draw your attention. 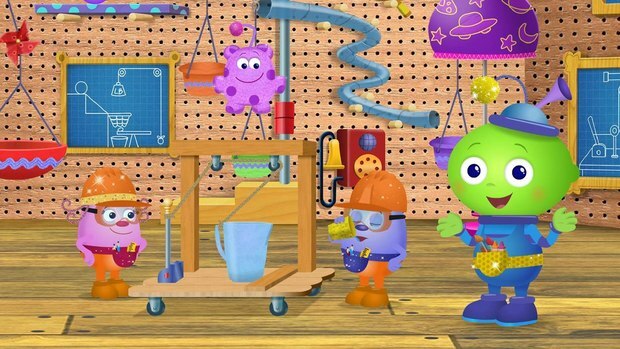 Such a cute show and fun to watch with the kids. I like how the animation is and a good kids show for sure! This looks like a really cute show with adorable characters! My youngest grandson might like this! It's great for a show to highlight the arts of the world. This looks like such an exciting show!! My 5 year old would love watching this.